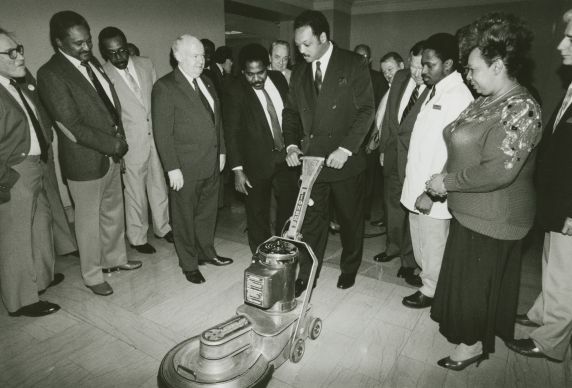 Jesse Jackson, a 1988 presidential candidate, trying out a floor buffer, a device commonly used by SEIU members within janitorial positions. This occurrence took place around an SEIU executive board meeting in Washington DC, 1987. John Sweeney, SEIU International President, looks on to the left of Jackson.